Private 6.79 ac. m/l 5 min. to Athens w/ almost 4000 sq. ft. of living space. 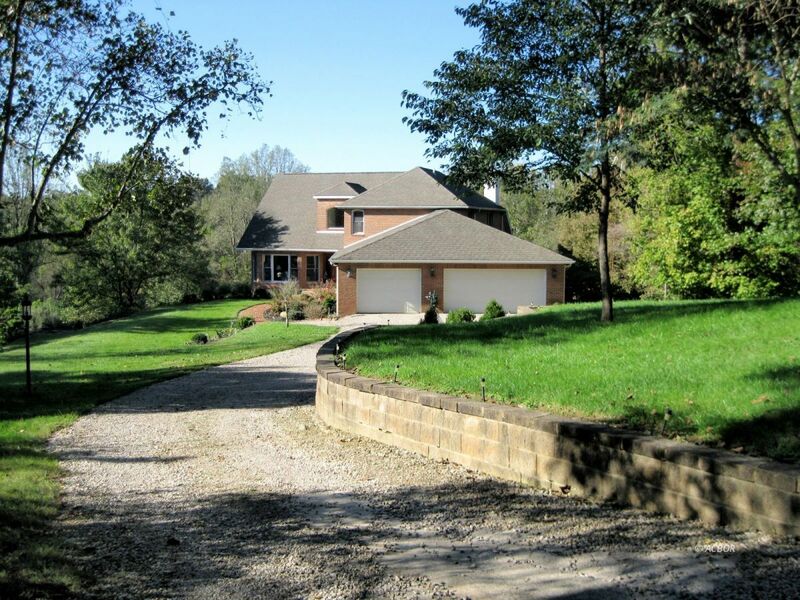 All brick, custom designed 5 BR, 3.5 BA w/ separate lower level in-law suite, 3-car att. garage and a new 16 x 32 inground pool. Perfect for entertaining. Enter the front door & find two story open foyer w/ solid oak staircase. To your left is a family room w/ large beautiful windows, to the right is formal dining room continuing to open kitchen w/ gorgeous cherry cabinets, updated appliances, Quartz countertops, breakfast nook, family room w/ gas fireplace, master suite w/ large dome windows & master BA w/ separate tub & shower. Finishing out 1st floor is the oversized laundry room, half bath in hall & double French doors going out to the covered deck overlooking paradise. Upstairs is an open landing area, 2 nice bedrooms w/ Jack & Jill bathroom. Lower level has full finished walkout basement w/ full kitchen, open family & dining rooms w/ beautiful fireplace, double French doors to the private fenced pool and concrete deck, 2 full size bedrooms w/ large windows plus 2 more private rooms used for storage/hobby shop w/double door to outside. Detailed landscaping & park like setting. Whole house generator.